Want the bold line of a pen, but the correct-ability of a pencil? Well, good for you! Erasable pens have moved up leaps and bounds, and Sharpie has one, called the erasable pencil. 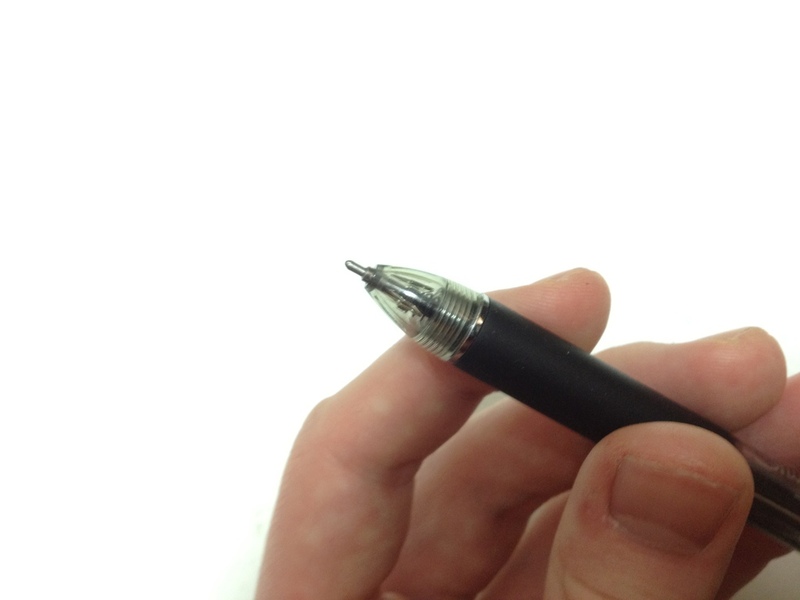 The barrel of the pen is a clear plastic with the branding on it. The grip is a light rubber, but it is more smooth than grippy. The tip is a cone that leads to the tip which is retraceable with a click mechanism. 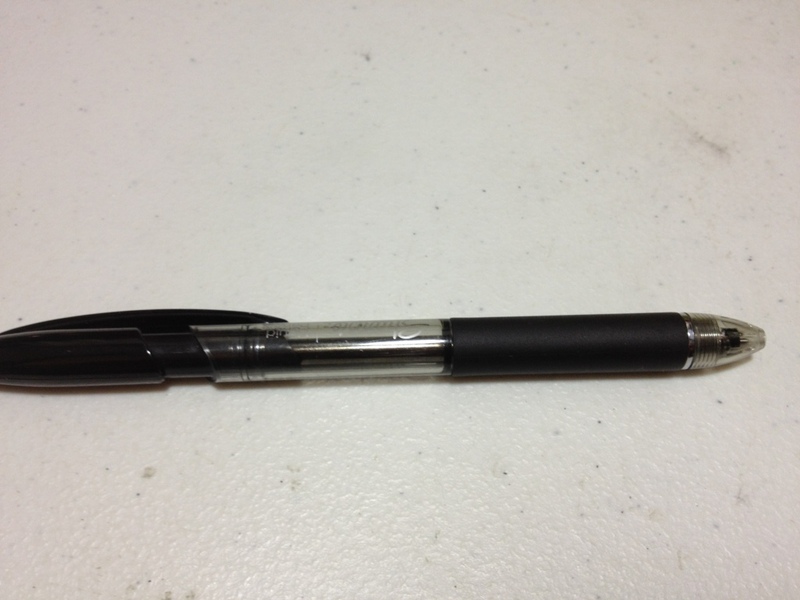 The entire back third of the pen(cil) is the click mechanism, with an eraser and flimsily little clip. Sharpie is written on the clip, but small and indented. The mechanism is cheap, it simply sits on the back and doesn’t fit into place on the back, it wobbles and bounces while one is writing. It makes the pen feel unnecessarily cheap and plastic-y. The ink is black, but it is a bit thin and grey, though not nearly as grey as say, a pencil. There is nothing else particularly spectacular about it. It is fairly permanent, but it is less fade- and water-resistant than most inks, because of course it can be erased. And it can be erased. Depending on the thickness of the line it goes away completely, or to such a faint line that it is unnoticeable. It is truly a liquid pencil. So it doesn’t exactly have the boldness of a pen, but it is more bold than a pencil, and it is erasable like one too. So if you were looking for a happy medium between the two, then look no farther. But if cheap-feeling construction and not-so-bold lines put you off, then I’d suggest looking elsewhere. This entry was posted in Beginner Supplies, Utensils and tagged black, click pen, erasable, erasable pen, liquid pencil, pen, review, sharpie by Dragon Co (Austin Smith). Bookmark the permalink.